This may not be the most entertaining of article or have the greatest pictures, but it will help you to save money. Simply follow these 5 easy steps and you will have more money in your pocket, and parts on your motorcycle. The price match policy doesn't always have to be just on the item. Sometimes your entire shopping experience can be improved by purchasing an item from a retailer you like, but paying the price of a retailer you may not. You can dramatically decrease the price of an item by simply shopping around. Using this method I once purchased a Drift Ghost HD Camera from an authorized retailer for about $85 less than anywhere else by having them price match a non-authorized retailer. While this may not have been the most honest way of doing this transaction it was perfectly acceptable by the retailer’s loose policy. Companies do not produce all of the things they sell any more. Even if the item has their name on it there is a good chance it was made by someone else. If you see an item you suspect is produced by someone else then re-branded you should simply search for who produces it. I’m going to provide two examples of this. I was able to purchase a Drift Cam Pole for half price because I found out what company was making them. I purchased it directly from iStabilizer and saved about $15. 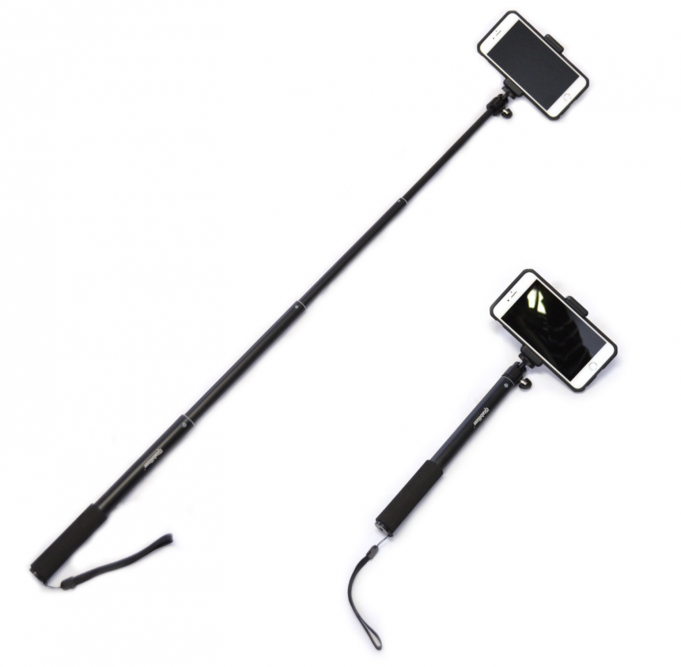 The iStabilizer Monopod pole can be found on Amazon. Helmets are another place where this comes in handy. The new Touratech dual sport helmet is a great example. Touratech sells their helmet for $699. This helmet is simply a re-branded Nexx XD1 available as low as $449. Often you can find cheaper items that may be better quality by simply reading reviews or watching video reviews on YouTube. I have found that most independent reviewers are trustworthy because they have no financial tie to the manufacturer. Many retailers or manufacturers will have coupons or rebates to help lower costs. I receive emails for a dozen or more parts retailers and wait until they have a large coupon or free shipping weekend to make my purchases. I also use this method for in store purchases from places like Staples. Staples for instance constantly has coupons for 15-20% off a single item, and on some occasions you can get a coupon for 15-25% off your entire purchase. In some cases you can combine a price match with a coupon and save larger amounts. I hope these tips will help save you some money. Just remember that buying quality parts, gear or tools will save you in the long run.